If there's one thing everyone in D.C. can agree on, it's that there's never been a better time to eat out. Saddled for years with a reputation as a meat-and-potatoes town, the District is now home to ambitious chefs deploying ingredients from around the world. But anyone curious to explore homegrown flavors can find those in DC, too, most notably at a new restaurant that spotlights the mid-Atlantic region. 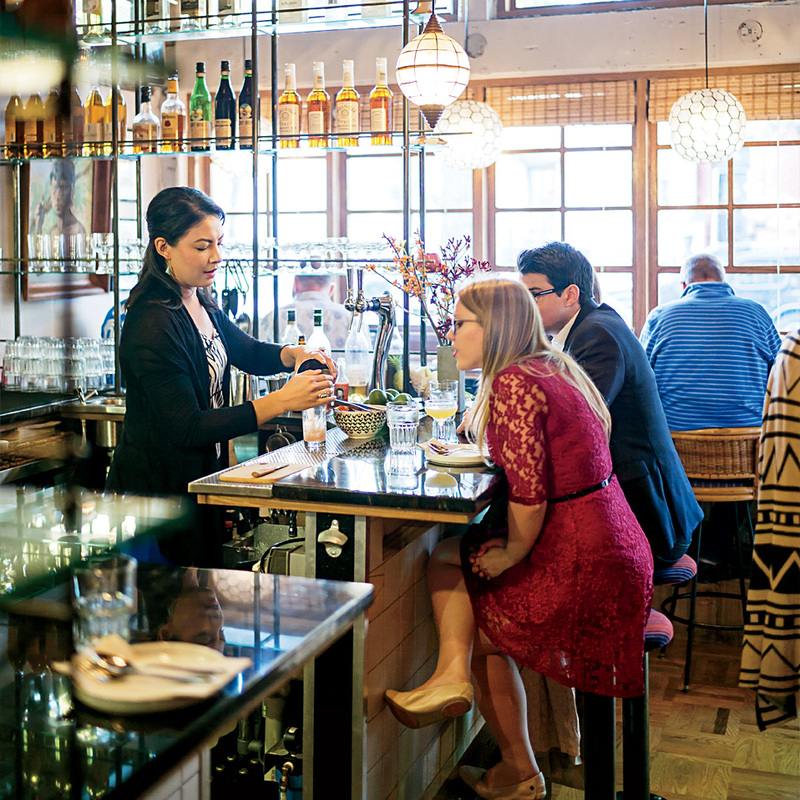 All over town, dozens of new restaurants are competing for appetites. Tom Sietsema, longtime food critic for the Washington Post, weighs in. Insider's Tip: All-Purpose has an enviable selection of amari. Try their Black Manhattan, which combines Averna with supersmooth Four Roses yellow-label bourbon. In a city with no shortage of pizza joints, this newcomer sets itself apart with pies made of fermented dough, baked in deck ovens and finished with novel toppings like a phenomenal Caesar salad. 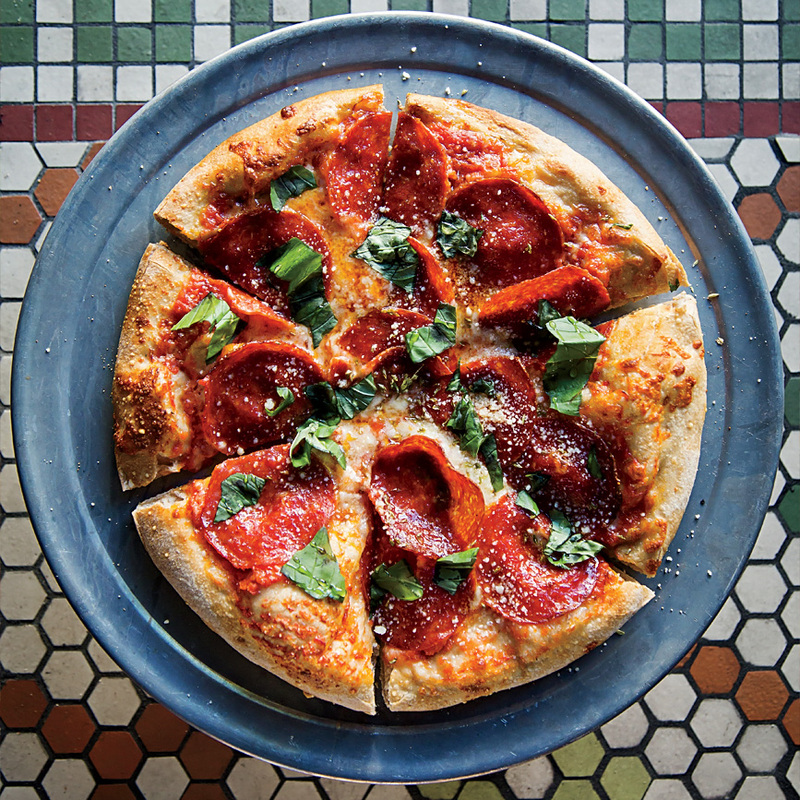 Chef and co-owner Michael Friedman created the restaurant as a tribute to the Italian-American haunts of his New Jersey youth; the custom- made hexagonal tiles on the floor add to the retro vibe. To modernize the dishes he grew up with, Friedman tricks out antipasti salad with fried chickpeas and a Sicilian- oregano vinaigrette and sends out meatballs with cores of molten mozzarella. Desserts come from the new Buttercream Bakeshop next door, including the red, yellow and green rainbow-cookie cake served on a pool of satiny chocolate sauce. 1250 9th St. NW; allpurposedc.com. No matter your mood, this eclectic bar from spirits guru Derek Brown has what you’re thirsty for. There are three distinct drinking zones. 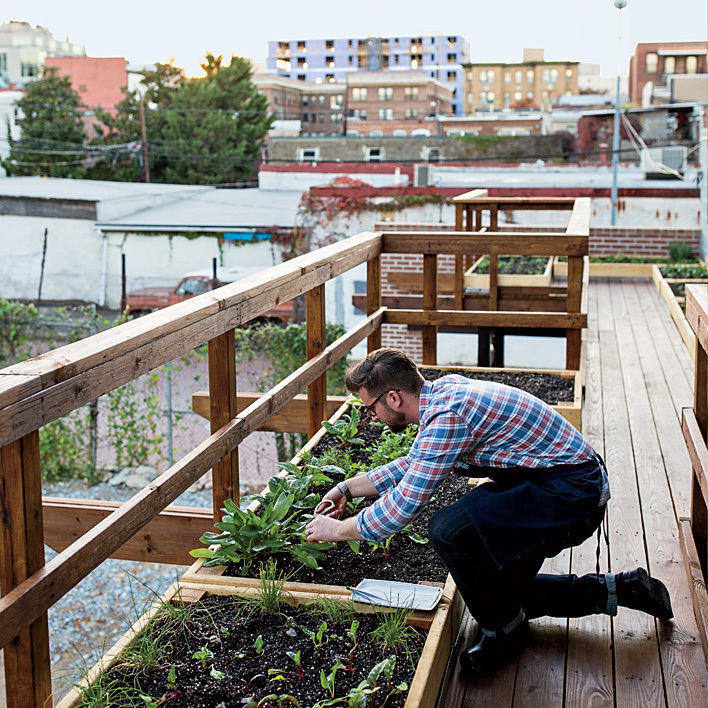 The breezy Punch Garden serves the namesake drink on a rooftop deck. There’s a Spirits Library: a den of leather chairs, classic drinks and shelves lined with rare and intriguing bottles like Rhum Clément from the 1800s. And finally, there’s the 14-seat Tasting Room, a by-reservation space featuring three- and five-course cocktail- and-small-plate flights (Japan and Latin America have been recent themes). Decorating the space is a mural that pays sly tribute to alchemists and other sources of mixology inspiration. 124 Blagden Alley NW; columbiaroomdc.com. This menu roams the world for inspiration. You can decide to start a meal with steak tartare in a ring of crisp potato coins with a sauce reminiscent of French onion dip; or you can order a seafood-scallion pancake that evokes Seoul--except, perhaps, for the garlic mayonnaise and shaved bonito on top. Indecisive? Chef Rob Rubba is happy to help you out with his “Lazy Susan” dinners, including an epic one with Peking duck breast, crispy wings, confit fried rice, mixed greens with duck-fat- sherry dressing, spiced sausage and pickles. As for dessert, Rubba honors his late grandmother with a version of her terrific zucchini bread. But because he’s a chef, he adds a modern twist, pairing it with foie gras mousse and chamomile gelée. 808 V St. NW; hazelrestaurant.com. You’ll see chicken wings and seared scallops at innumerable restaurants, but chef Tim Ma’s renditions are one-of-a-kind. Wings, for instance, get their creaminess from crème fraîche, their pow from citrusy Japanese sudachi and their heat from Korean chile paste; scallops set on coconut milk-infused risotto are topped with basil ice cream. (Sounds dubious, but tasting is believing.) Ma, who was until recently a popular chef in northern Virginia, can now claim success in DC, too. 1924 8th St. NW; kyirisandc.com. Fire’s the focal point at Jeremiah Langhorne’s debut restaurant. The wood-fueled hearth dominating the dining room yields all manner of delicious dishes: vegetables cooked in the embers until luscious and smoky, pork loin from a small Virginia farm, rockfish from nearby waters. Langhorne, a veteran of McCrady’s in Charleston, South Carolina, is hyperfocused on the historical cooking of the mid-Atlantic. He’s doing so with the help of obsessively sourced ingredients and his collection of 19th-century regional cookbook--one of which happens to include a recipe from a Langhorne forebear. 122 Blagden Alley NW; thedabney.com. This opening marks the triumphant return of Eric Ziebold, whose opulent CityZen went dark two years ago. 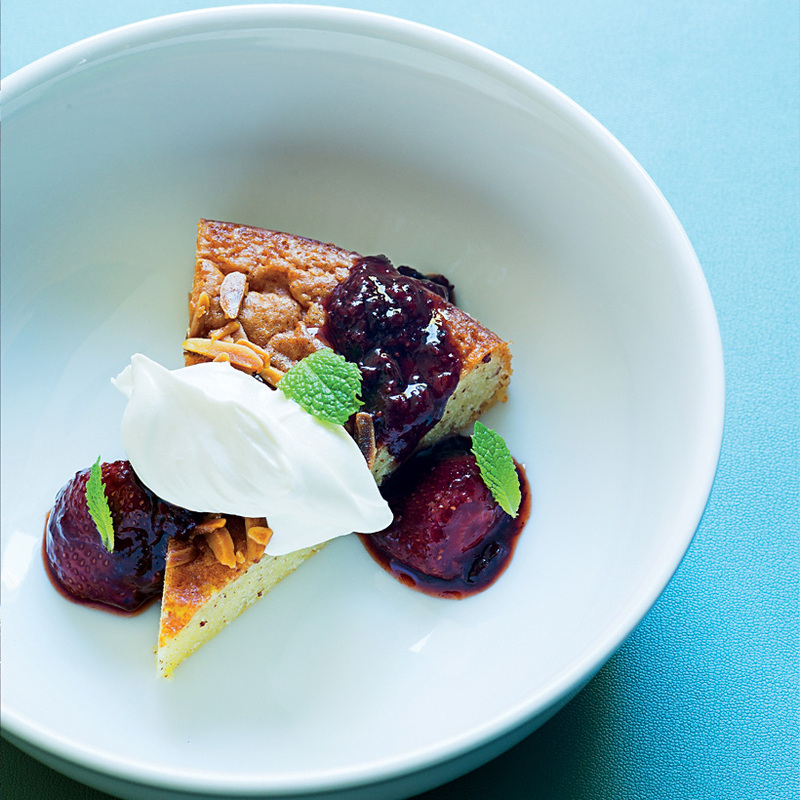 The F&W Best New Chef and alumnus of the French Laundry in Napa Valley has created one of the most inviting new restaurants in the city. Menu categories--“Craft,” “History,” “Indulgence”--hint at the chef’s cerebral approach to cooking. Be on the lookout for any protein served “for the table.” That’s your cue to order the sumptuous roast chicken with lemony brioche slipped under its crisp skin, or a dramatic whole roast foie gras. 1015 7th St. NW; kinshipdc.com. One visit to this inviting spot and you’ll wonder why it took Filipino food so long to gain fandom in the US. Ensaladang palapa--a hillock of green (snow peas), gold (flowers) and violet (cabbage)--might be the most beautiful salad you’ve ever eaten. Look for world- class shrimp fritters spiky with shredded vegetables, and braised goat energized with lemongrass, garlic and turmeric. Note: There are only 24 seats, and Bad Saint doesn’t take reservations, so show up early to snag a spot (doors open at 5:30 p.m.). 3226 11th St. NW; badsaintdc.com. Mumbai native Vikram Sunderam, the acclaimed chef behind Rasika, is introducing DC to the street food of his homeland: papaya-jackfruit salad tossed with tamarind- date chutney; soft buns packed with pork vindaloo; shrimp in a tangle of curry leaves, mustard seeds and green chiles, heaped on pancake-like uttapam. Setting the scene are fruit baskets repurposed as lights, which give the space the feel of an Indian bazaar. As they say in Hindi, “bindaas"--awesome! 3309 Connecticut Ave. NW; bindaasdc.com. When this restaurant launched last winter, expectations ran sky-high; the owners’ collective résumé included two of the city’s most beloved dining destinations (haute Greek Komi and Thai spot Little Serow). Fortunately, Tail Up Goat over-delivers. A gratis shrub starts the meal; bread is a course on its own. Don’t miss the seaweed sourdough, a base for ever-changing, always fantastic toppings. The signature lamb ribs, rubbed with Middle Eastern spices and plated with sumac-zapped onions and a fistful of herbs, are messy but marvelous. In case you’re wondering about the strange name: It’s a reference to the US Virgin Islands, where co-owner Jill Tyler grew up and where the many goats and sheep are distinguished by the position of their tails. 1827 Adams Mill Rd. NW; tailupgoat.com. 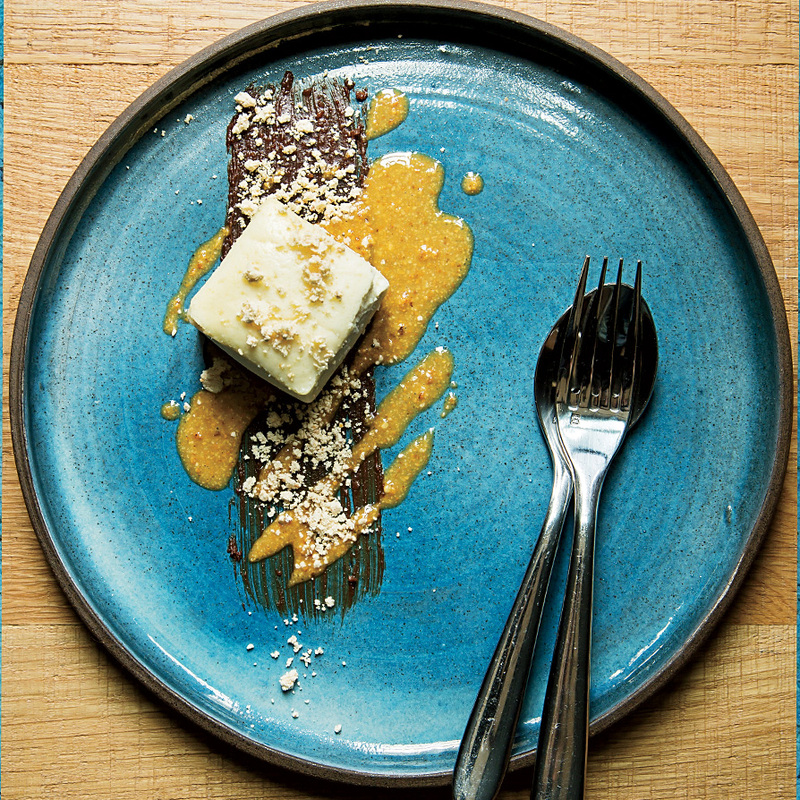 Just as he transformed the idea of the neighborhood restaurant with Rose’s Luxury, Aaron Silverman (an F&W Best New Chef 2016) redefines high-end dining with Pineapple and Pearls. Gone are linens, prestige ingredients and petits fours with the bill (which will come to $250 per person, an all- inclusive charge you pay ahead of your visit). Taking their place at this understated dining lair are bare tables, familiar food elevated to lofty heights and a goody bag that includes cold-brew coffee. Wondrous dishes range from roasted potato ice cream with osetra caviar to a spin on sole Véronique with fluke covered in “scales” of green grapes. Several of the dozen or so courses are introduced by the chefs, who finish them at the table. Can’t do dinner? 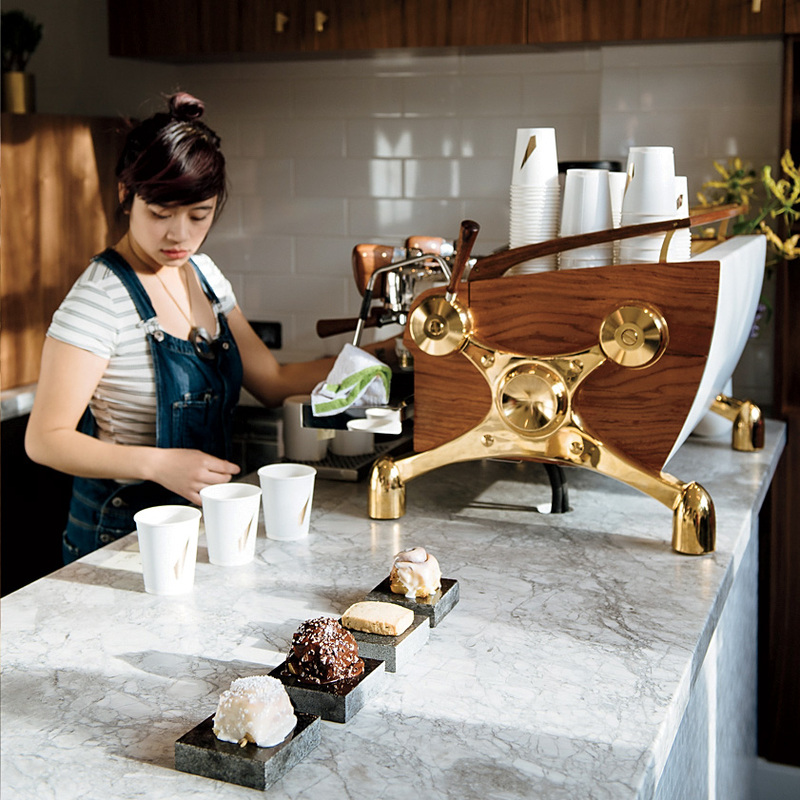 P and P is a marvel of a coffee bar by day. 715 8th St. SE; pineappleandpearls.com.